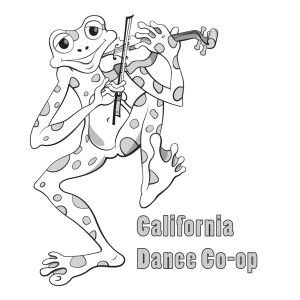 Our dances are about fun and friendship, as well as inclusion, community building, and respect: Respect for your partner and other dancers, for the line and the space, for callers, musicians, organizers, the community, and yourself. Respect is necessary for us all to have fun. Here are some things to keep in mind so that we all have a good time. Dance with everyone. We encourage changing partners for each dance. Experienced dancers, please ask newcomers to dance; beginners, you’ll learn faster if you dance with experienced dancers. Take each dance one at a time, without lining up partners in advance, and keep an eye out for dancers on the sidelines and ask them to dance. We’re all here to make friends and build our community. Feel free to dance any role. We frequently use the dance terms “ladies” and “gents,” but they are dance roles, not gender identifiers. Anyone may dance any role, with any partner. It’s Ok to Say No. We strive to create an environment where dancers feel safe and comfortable, both in asking for a dance and in declining one. Ask partners kindly, and accept their answers graciously. A polite “no thanks” should be enough. If someone declines you, give them space. Let them come to you. Each dancer has the right and responsibility to maintain control of their body. Establish your comfort level, set boundaries, and politely express your needs. A lead is an invitation, which can be accepted or declined. You don’t have to follow a lead into an extra twirl or a particular move if you don’t want to, and you should never force your partner into a move they don’t want to do. Express your needs, whether physically or verbally. For example: “please swing slower,” “I’d like your hand a little higher,” “I’d prefer not to twirl so much,” etc. Be sensitive to physical, nonverbal cues your partner may give about boundaries. Dancing in time with the music and respecting the space of your fellow dancers is more important than showing off the fanciest moves. Don’t dip your partner without explicit permission, and be careful of moves that infringe on or restrict surrounding dancers or sets. Lifts are not safe at a contra dance. If something unusual happens, try to give your fellow dancer the benefit of doubt and allow them to explain (while keeping in mind that their comfort does not outweigh your own). What may seem like an affront can often be an accident. Predatory conduct, intimidating behavior, and harassment are not allowed and may lead to dismissal from the dance and potential future dances. If you feel uneasy about something or are not sure how to communicate an issue, please find a board member or the dance producer and ask them. We’re here to help. Remember: If you would warn your friends to avoid someone, it is worth reporting. Maintain the line. When lining up for a dance, join the shortest line at the bottom of the set. Avoid rushing to the top, middle spot, and don’t cut in line. Enjoy the space afforded you at the back and sides of the hall. Maintain the set. If you have an illness or injury or you feel in immediate danger, you have the right to leave the line. However, if it’s possible to wait, please do so until you get to the top or bottom of the set, so as not to disrupt the line. Respect the walk-through. Listen intently when the caller is teaching the dance, even if you know it. Follow the instructions and be patient while others learn. It’s okay to politely help a beginner dancer if they’re struggling, but be sure to let the teacher do their job. Be helpful, but don’t worry. If your hands-four gets mixed up during the dance, don’t worry. Try to keep going, or wait a beat and get ready for the next figure. Smile and use clear gestures, rather than verbal instructions, to help out a dancer who’s lost. Never push or grab and move a dancer to where they’re supposed to be. Everyone makes mistakes. No one is perfect, so don’t get angry if you or someone else makes a mistake. Even experienced dancers goof up; they just recover quickly when they do. Advanced dancers, be understanding with beginners and don’t confuse them with extra moves or twirls. New dancers, be patient and master the basics first before adding in flourishes. Experienced dancing is not about showing off the fanciest moves all the time; it’s about using good judgment for when flourishes are appropriate. Stay clean and dry. Dancing is sweaty business and the hall can get warm. Consider bringing a hand towel and a change of shirt if you need it. We are a fragrance-free community. Some people are allergic or highly sensitive to strong smells. Avoid scented products like perfume, cologne, aftershave, some deodorants, etc., and avoid strong spices, onions, or garlic. Follow good personal hygiene, and be thoughtful in your pre-dance preparations. Fresh mints are always appreciated. Take care of the dance floor. Bring clean, soft-soled shoes to change into. Beware of stomping or scuffing the floor excessively. No food or drinks are allowed on the floor, and gum chewing can be rude, as well as dangerous to your health. Give thanks. Remember to thank your partner after each dance, then share your enthusiasm with the caller and band by applauding. It’s also polite to thank the other members of your set when dancing in a smaller set of couples or a square.